Ever wonder what other uses there are for wine barrels besides aging wine? There are an infinite amount of possibilities that include making a table, chair, shelf, or even a fire pit! 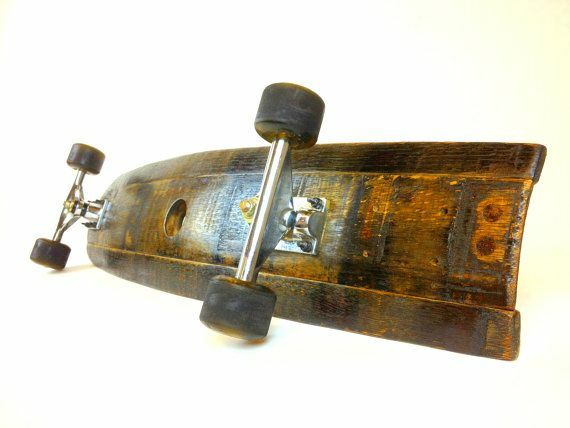 Charles B. Mitchell’s favorite use, besides aging his array of single-vineyard wines, is making skateboards out of old barrels (yes, Charles skates!). Each board has its own unique pattern and color, making it a collectors item or a great gift for the wine lover in your life. Next time you’re at the winery, if you ask nicely, Charles might just make you one. You just have to drink the wine first.